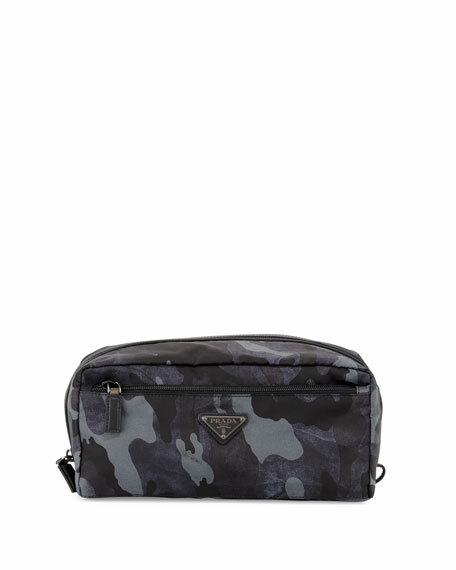 Prada travel toiletry kit in camo-print with calf leather trim. Front and back zip pocket. Signature triangle logo plate on front. Inside; nylon lining, one zip pocket. For in-store inquiries, use sku #1538280.